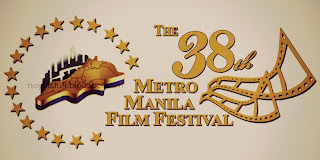 The winners of the 38th Metro Manila Film Festival (MMFF 2012) were revealed in a star-studded awarding ceremony held at the Meralco Theater in Ortigas on Thursday night, December 27, 2012. Star Cinema's "One More Try" emerged as the biggest winner in this year's Festival as it bagged the Best Picture award as well the awards for Best Actor (Dingdong Dantes), Best Screenplay (Anna Ramos), Best Editing (Vito Kahili), Best Child Star (Miguel Vergara) and the first-ever FPJ Memorial Award. The Second Best Picture award went to the Emilio Aguinaldo biopic "El Presidente," which also received a number of awards including Best Supporting Actor (Cesar Montano), Best Float, Youth Choice Award, Best Sound (Michael Idioma), Best Musical Score (Jessie Lazatin), Best Theme Song (Apl.de.ap and Jamir Garcia) and Best Make-up (Warren Munar). Internationally acclaimed indie film "Thy Womb" also reaped several awards including Best Actress (Nora Aunor), Best Director (Brillante Mendoza), Best Production Design (Mendoza), Best Original Story (Henry Burgos), Best Cinematography (Odyssey Flores), Gender Sensitivity Award, and the Gatpuno Villegas Award. Best Picture: "One More Try"
Best Screenplay: "One More Try"
Best Original Story: "Thy Womb"
Best Production Design: "Thy Womb"
Best Visual Effects: "Shake, Rattle, and Roll 14: The Invasion"
Gat Puno Antonio Villegas Cultural Award: "Thy Womb"
FPJ Memorial Award: "One More Try"
Most Gender-Sensitive Film Award: "Thy Womb"
Youth Choice Award: "El Presidente"
Best Full-length Feature: "The Grave Bandits"
Most Gender-Sensitive Film Award: "In Nomine Matris"
Special Jury Prize: "Ad Ignorantiam"
The MMFF 2012 Awards Night will be telecast at 9:30 p.m. on December 27 on TV5. Anak ng tokwang jury yan. Mas maganda pa ang One more try kesa sa internationally acclaimed na Thy Womb? Wala talaga! Hynku,dpat mas npancin nila acting ni ms.angel locsin. Nora is nora...bgyan ng chance ang acting skills ng iba. #angellocsin dpat eh..y oh y? Ngkhyaan nlng b kaya c ateguy pinanalo although alam ng lhat n mgaling tlg x?iba prin performance ni angel eh. Kung talo, TALO walang luto. angel locsin sana fof best actress.. palibhasa walang kinita kaya binigay nalang sa walang kwenta pelikula! ano ba ang THE WOMB saan galing yan bakit may HIMALA?